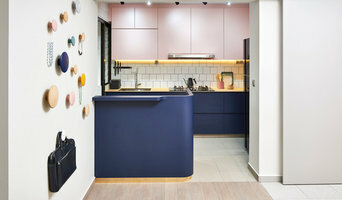 Studio FortyFour is made up by two right-brainers who love telling story through spatial environment. Using the medium of space, materials, lights and sounds, we translate every story into a haptic design space where it can exist, grow and connect. Our creative takes on design and impeccable attention to details bring all home, workplace, retail and exhibition spaces to life. In short, we create spaces that are a little chatty and less ordinary. CPSA provides a complete solution tailored to your interior needs from decoration to renovation. We emphasizes the importance of aesthetics and functionality concerns to accommodate to the progressive lifestyle of every individuals, be it for residential, commercial or retail spaces. We also believed that communication is the essence in the delivery of all projects in order to demonstrate design and service excellence, exceeding client expectations. In VOILÀ, We look at who you are, how you want to be perceived, how you work and where you move… every detail is important to us. From conception to execution, our team is able to seamlessly integrate all processes and people, ensuring on time delivery with the best quality to match. Our after-sales service will also leave you astounded. At the end of the journey, it is always a pleasant surprise, a revelation and a wonderment at the new creation, which can only be captured in the French whimsical expression, "Voilà!". We provide services like Conceptual Design, Design Development, Contract Documents,Project Management and Site Supervision. Interior Design Journey is an award winning company dedicated to improving your well-being with the art of interior decoration and styling. We believe an organised, well thought out and stylish space is not only visually appealing but will also enrich you by inspiring your mood, positivity, drive and happiness. 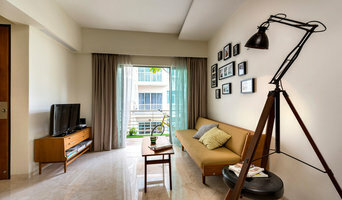 We provide our expat clientele in Singapore with beautifully crafted spaces that are individually tailored and allow them to fully relax at the end of an exhausting day. We will achieve this for you by capturing your personality and combining it with elegance and practicality to create your perfect sanctuary. How we can help: Newcomers – if you are looking to settle quickly into your first abode here in Singapore and need either a full refurbishment or you want to incorporate your own furniture, contact us. Shifters in Singapore – if you are moving within the red dot and require help arranging your existing furniture into a bigger or smaller new space then let us know. We can source additional items, if required, or consolidate current items to have you settled in smoothly and efficiently. Home Owners – if you are a seasoned expat taking the step of purchasing your own property then drop us a line. We can ease your pressures and help you with all aspects of interior design to create your dream home. Founded by British expat Priya Naik in 2013, Interior Design Journey has become a leading expert in the world of interior design. Priya’s extensive knowledge and experience of the interior furnishings and finishes market, coupled with her natural talent and passion for décor, has enabled her to establish a successful career both locally and internationally. Her distinctive style incorporates both Eastern and Western influences using loose furnishings to give flexibility combined with Asian elements. Priya will work with you at every stage of the transformation process to ensure a flawless and bespoke result for the project. We guarantee that we will not only transform your space through exquisite design but you will also feel a positive impact. Building Homes with Pride. More than just contractors, we work with your budget to design and build your dream home. E & A Interiors was founded in 2013, with a commitment to delivering bespoke design services, creating striking, timeless and comfortable living environments for discerning clients, a goal which still remains at the heart of the business. From the design studio in Singapore, with Chlöe Elkerton at the helm, the creative team comprises of four designers and interior architects. With over 15 years in the industry, Chlöe leads all aspects of the creative process, from concept and design, through to the decorative schemes and installation. Custom furnishing and fixtures are provided through the studios own team of trusted in house contractors to ensure delivery of the highest standards in quality. As part of the teams commitment to provide the best for our clients, E & A Interiors have established Asia’s first library of some of the finest fabrics, wallpapers and rugs, sourced from over thirty-five of the leading artisanal design houses from Europe and North America. 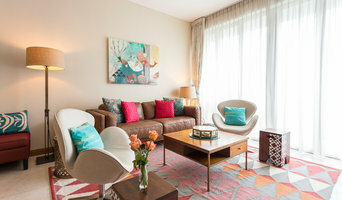 Chlöe’s background as a top interior stylist has shaped her design philosophy, creating livable yet luxurious interiors. She continues to work primarily on residential projects with an international portfolio, and her passion for travel remains a great source of inspiration, as well as her belief that your living environment should be a personal expression of yourself. Her working style is collaborative - a shared journey towards your perfect home, and her talent is in understanding her client’s expectations and turning visions into reality. Welcome to Summerhaus D’zign, an award-winning interior design consultancy in Singapore. Since inception, our work has been recognised by various local media as a promising young interior design company in Singapore. We were even named as one of the 50 influential interior designers by Singapore Tatler Homes 2015. 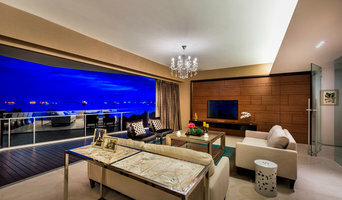 As a boutique interior design company in Singapore, we take great pride in our work, bringing the best to our clients. We take on a bespoke approach, customising each detail and achieving designs tailored to suit you best. Every project that we undertake bears the unique identity of the home’s owner. After all, comfort comes in a home infused with your personality. Together, we will walk hand-in- hand with you through the different stages of interior design, from the initial conceptualization to the actualization. As we embark on this journey, look forward to building a strong friendship with us, and a natural affinity for our work, the work that makes us a premier interior design consultancy in Singapore. Blum has been conceiving, developing and building brilliantly functional and ergonomic home storage solutions for more than 50 years. Amazingly smooth with superbly damped motion for doors, pull-outs and lift systems combined with outstanding use of storage space is the Blum hallmark. urbanKITCHEN, a concept by Blum, is committed to helping every home owner realize their dream of owning a kitchen of European quality, with a local price tag.